BatchCrop : Image cropping made easy! We respect your privacy online. As part of the software registration process and when dealing with Technical and/or Sales Support you may be asked to disclose information about yourself, your company, and computer systems. The personal data we collect will be used for payment processing, invoicing, product delivery, related communication, and will be passed on to the payment processor. You may contact us via e-mail (contact [at] atarcasoftware.com) for your data processing options. Payment page is SSL protected, and we do not store any information about your credit card. 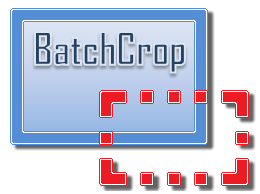 Unlicensed BatchCrop has full functionality. Limitations apply to usage time and number of files that can be processed. Please take your time to evaluate all aspects of the software before buying. After a cleared payment on purchase, you will receive an email with the registration code and information to unlock BatchCrop. Once this information is emailed to you, no refund will be given. In rare instances and only within 7 days of purchase, we may, at our discretion, issue a refund. Order processing and banking fees may apply up to 25% of purchase price. You must submit to us an official letter of destruction before we will process the refund. By placing an order for any of our products, you indicate that you have read this refund policy and EULA and that you agree with and fully accept the terms of this refund policy. If you do not agree with or fully accept the terms of this policy, we ask that you do not place an order with us. You can view our EULA by clicking here. As Atarca Software, we provide software solutions worldwide with our broad R&D experience. Our services include software development and consultancy for both industrial and enterprise applications. Atarca Otomasyon Yazılım Donanım San. ve Tic. Ltd. Şti.